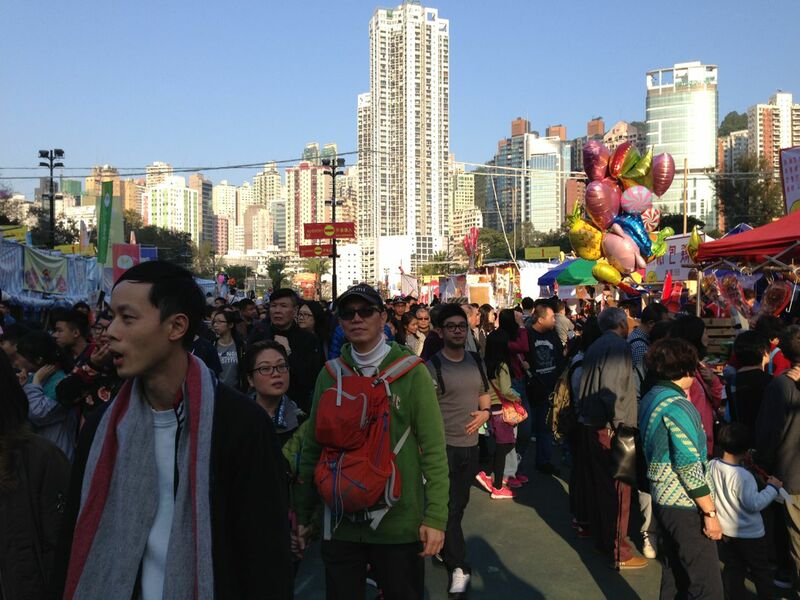 Many people in Hong Kong are anxiously preparing for Chinese New Year on Saturday. The wet market near where I live was extra busy, with people buying up all kinds of fruits, vegetables, and meats to prepare for upcoming reunion dinners this week, though officially it's on Friday. And today was the start of the Chinese New Year markets around town, the biggest of which is in Victoria Park in Causeway Bay. I checked it out this afternoon and luckily it wasn't packed, though still lots of people. I didn't have time to go through all the stalls, but the orchids were gorgeous, and this one pictured here is a kind that I've never seen before. There were of course many rooster-related items, particularly stuffed toys, phone covers, cushions and trinkets. 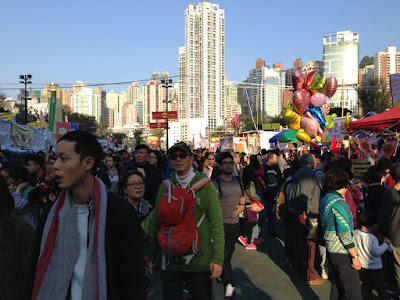 And what's a Hong Kong fair without some politics, particularly in an election year? The Democratic Party had a modified game called "fish prawn crab", a kind of gambling game, with caricatures of the four candidates -- Carrie Lam Cheng Yuet-ngor, John Tsang Chun-wah, Regina Ip Lau Suk-yee, and Woo Kwok-hing. Even possible candidate Jasper Tsang Yok-sing was in the mix too. Another stall manned by the League of Social Democrats sold cushions shaped like luncheon meat tins. It was a reference to former pro-Beijing lawmaker Wong Kwok-hing's condemnation of legislative filibusters, that he once said wasted enough taxpayer dollars to buy thousands of cans of luncheon meat for the poor. 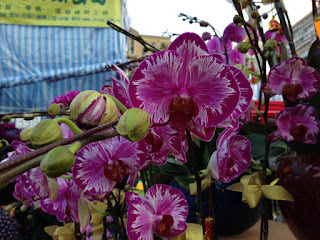 I intend to go back again to check all the stalls out, and maybe pick up some flowers too!